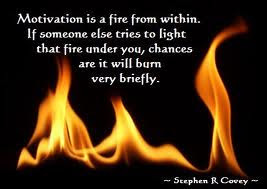 If you want success to come into your life, you need motivation. The law of attraction is the core of motivation. When you’ve found the clarity of what you seek in life, you are inspired and moved to act. So how moved are you today? Self-motivation is what propels the majority of people into getting what they want done or overcome the toughest event in their lives. It is never easy to motivate oneself but when you aspire to have the good life, you will find the way to motivate yourself. Experts agreed that motivation is a personal thing, and not all people are motivated the same way or for the same reasons. So, before you are able to motivate yourself you need to know what motivates you.